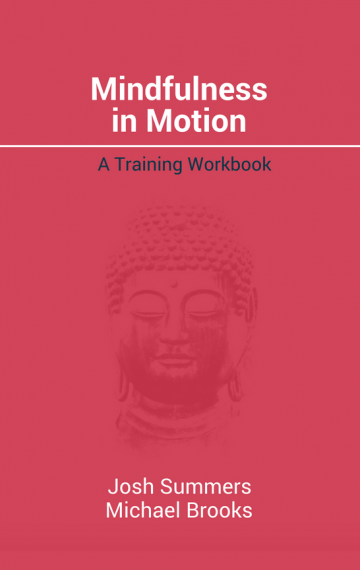 This is the training workbook to accompany The Buddha’s Playbook. This eBook is free to download, and it contains 8 weeks of mindfulness meditation training. Meditation has a proven track record for increasing health, boosting creativity and strengthening clarity. However, many people are confused not only about how to meditate, but even more-so, how to sustain the habit of meditation. And it’s really the ability to practice meditation with consistency that delivers all the long-term benefits. Throughout this workbook and The Buddha’s Playbook, there are references to a set of guided meditations. Passages with related mp3s are marked with a small “mp3” icon. These helpful and supplemental mp3s are available when you purchase The Buddha’s Playbook. Joshua Summers and Michael Brooks have brilliantly synthesized insights from theories on decision-making with ancient contemplative approaches to make the habit of meditation practice real and relevant. By practicing the simple techniques and approaches in The Buddha’s Playbook, you will infuse your life, your work and your purpose with a focused mind and a compassionate heart. Editor of In This Very Life and Nixon Under the Bodhi Tree and Other Works of Buddhist Fiction.